Label View - Label design made easy! Add a powerful, easy-to-use barcode label design application to your company's business process that can be used by right from beginners to advanced users. 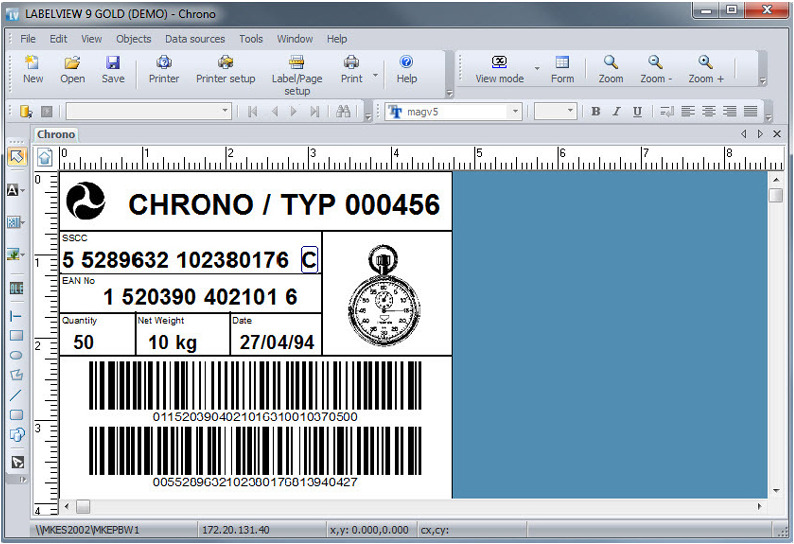 LABELVIEW is sophisticated and intuitive barcode and label design software. With the stability of LABELVIEW’s updated platform, you will have the confidence that your software will be dependable today and in the future. Create labels quickly using easy wizards. Create custom forms for accurate data entry and preview the label prior to printing, which acts as the final step in quality control. Redesigned interface, coupled with simplified database connections and streamlined data entry for faster execution. LABELVIEW allows you seamless transition to TEKLYNX enterprise products.